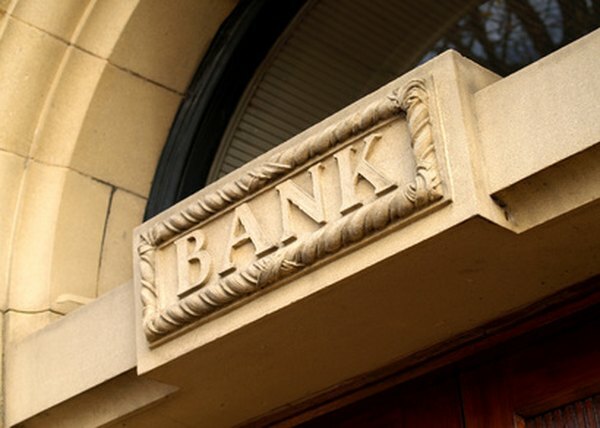 A spouse can withdraw bank funds under certain circumstances. 1. Can My Husband Get Money I Saved in the Bank Under My Name During Our Marriage? 2. Can a Husband Be Sued for Withholding Money? 3. Can a Bank Hold Funds on a Joint Account When a Spouse Dies? When a couple marries, they usually make a very important decision early on. Will they combine their bank accounts or keep them separate? After marriage, you may even decide to have one account together, while still maintaining a separate place for some of your funds. Whatever the case, if you have an account of your own, your spouse’s rights to it are limited, which can complicate things if you need him to run by the bank to grab some cash for you. A spouse cannot legally withdraw funds from a bank account unless he is listed as an account holder. When you open a bank account of any type, you specify who has authorization to sign on that account. If you took the account out when you were single and never added your spouse, you are the sole person allowed to take action on that account. As long as you are alive, your spouse will not be able to withdraw funds from that account. The same rules apply to any account your spouse has without your name on it. You won’t have access to the funds unless your spouse is by your side when you arrive at the bank. There are benefits to adding your spouse to your bank account, even though it offers full rights to withdraw the money without your permission. A joint account means your spouse can deposit and withdraw money for you. This can come in handy if you’re recovering from surgery or just having an extremely busy week. It also can simplify your budgeting, since you won’t have to decide which expenses come out of your funds and which come out of his. If things don’t work out for you and your spouse, your account situation could become complicated. Joint accounts you own will likely be divided as dictated by the laws in your own state. If you live in one of the nine community property states, the judge will divide assets equally without the freedom of discretion you see in equitable distribution states. In those states, which are the vast majority, judges may factor in the length of your marriage and the income contribution of each spouse to their various assets. In any state, your personal accounts may be included in this division. During the divorce proceedings, your spouse will not have access to any account you owned separately, just as during the marriage. However, your spouse’s attorney could require that you submit information on the assets you have in any personal accounts, and you could ask the same of your spouse. If you’re concerned about your spouse withdrawing all the funds in a joint account during the divorce process, you can file to freeze the account, but you’ll need to provide compelling evidence that your spouse is likely to withdraw substantial funds from it. If you die, your spouse may have difficulty accessing the funds in any personal accounts you owned. You can make it easier by first ensuring he knows where those accounts are. You can also simplify matters by designating him as a payable-on-death beneficiary on the account. The money will remain inaccessible during your lifetime, but upon death, your spouse can access it by simply showing proof of your death to the bank. But if you die without making such a designation, your personal bank accounts will likely need to go through probate, especially if the balance is significant. Another option is to put your bank account in the name of a living trust you’ve set up. This living trust will not only keep your assets from going into probate, but it will direct the account to the person you’ve named as your designated survivor. LegalZoom: Do You Live in a Community Property State? LegalZoom: Is an Individual Bank Account Considered Joint Property in a Divorce? How Much Can I Withdraw From My Savings Account Without It Being Reported to the IRS? Is a Trust Fund Safe From a Bank Levy? Can a Married Person File Jointly or Separately? How Do I Drive a New Car Home From the Dealership With No Insurance? Why Would My Bank Put a Hold on My Savings Account Without Telling Me?